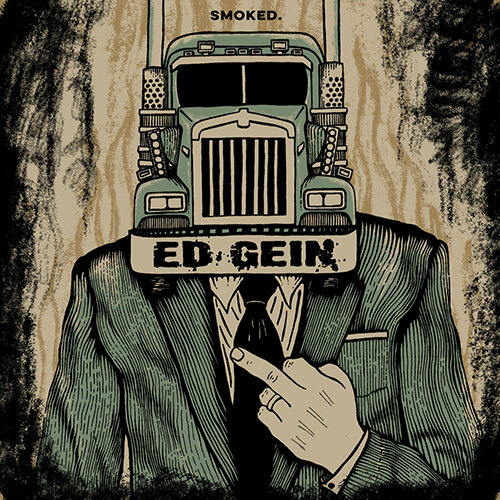 Syracuse's Ed Gein return from the depths of adulthood to smash out 5 new rippers on two 7" records crammed together in one awesome package. This is their first new material in five years. Three of these songs move at breakneck pace, barely letting up long enough to catch your breath. The other two songs tread slowly like a dumptruck plowing through traffic backed up behind an awful car wreck. These two records come housed in a special package designed and hand-screened by bassist/vocalist Aaron Jenkins and Black Arts Studio. Limited to 300 copies total, split evenly between black vinyl and clear vinyl. Black vinyl available from Kaos Kontrol.